Mary Jo Lipscomb, eldest child of the late Haven and Betty Stout (Lewis), was called home to heaven on March 22, 2019. Mary Jo was born in Chicago, Illinois on March 18, 1955. She lived her life in Akron and worked as a retail clerk for Fashion Bug for 22 years. She was loved by all that knew her. She would be there to help anyone that needed her. Mary Jo loved her family beyond anything else in her life. She enjoyed spending her evenings with her husband watching movies. She was a movie trivia buff. She also loved and enjoyed bird watching and music. Mary Jo is survived by the love of her life, her husband of 38 years, Roy Lipscomb, Jr.; her 5 children, Leonard, Joanne, Rigel, Emily (Abe), and Kathryn (Thomas); daughter in law, Stephanie; her 5 grandchildren, Ashley, Chance, Samantha, Sebastian and Allysa. 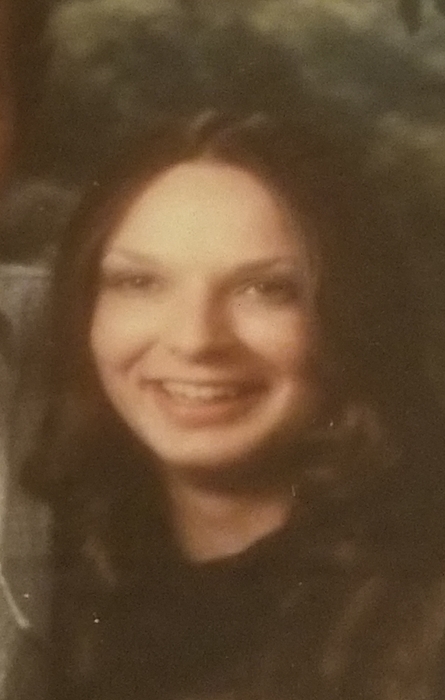 She is also survived by her 3 brothers, Stevie (Ginny), William (Beverly) and Jeffrey (Nancy); her 2 sisters, Teri Lyn and Kammie Dawn (Troy); her brother in law, Mark (Dawn); her sisters in law, Mary Kay (Bob) and Sheila; many nieces and nephews, who loved their Aunt Jo and will miss her very much. Mary Jo had a very special place in her heart for her cousin, Rita Jo Crumrine; her uncle, Rev. Bobby Stout of Elizabethton, TN. and her best and dearest friend in life, Peggy White. Her last gift to this world and act of love were her corneas, donated to Lifebanc. She gave someone the gift of sight. Her spirit lives on in the hearts of all who knew her. Visitation will be 5:00 until 7:00 p.m. Wednesday, March 27, 2019 at Donovan Bagnoli Funeral Home, 339 Southwest Ave., Tallmadge. Memorial service will be 7:00 p.m. Wednesday following visitation at the funeral home with special family friend Louis Kreider officiating.